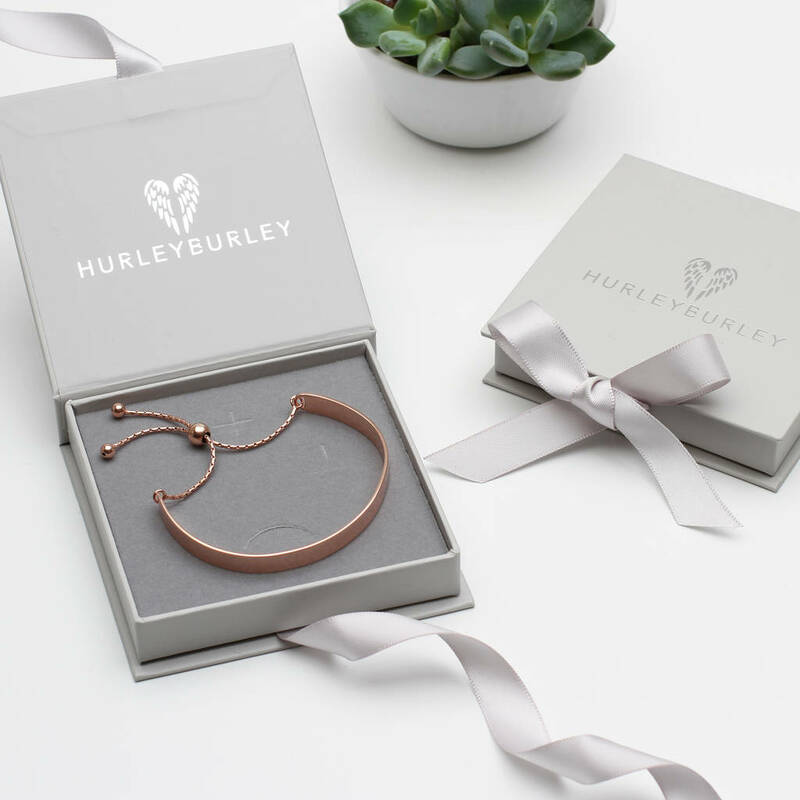 The perfect present for the special person in your life. 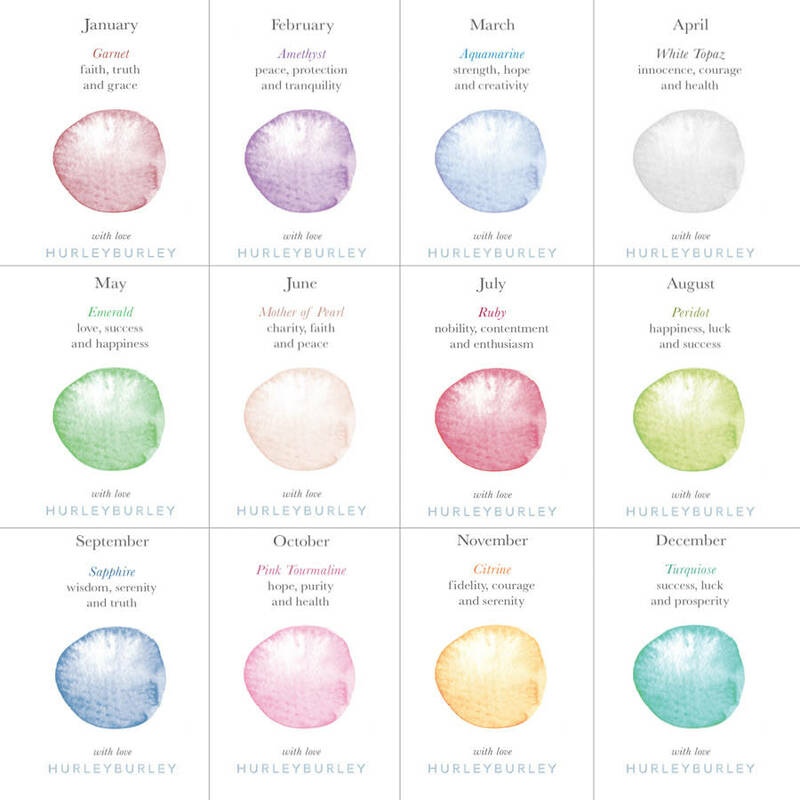 Customise this sterling silver necklace by choosing the most perfect heart charm set with a stunning birthstone. 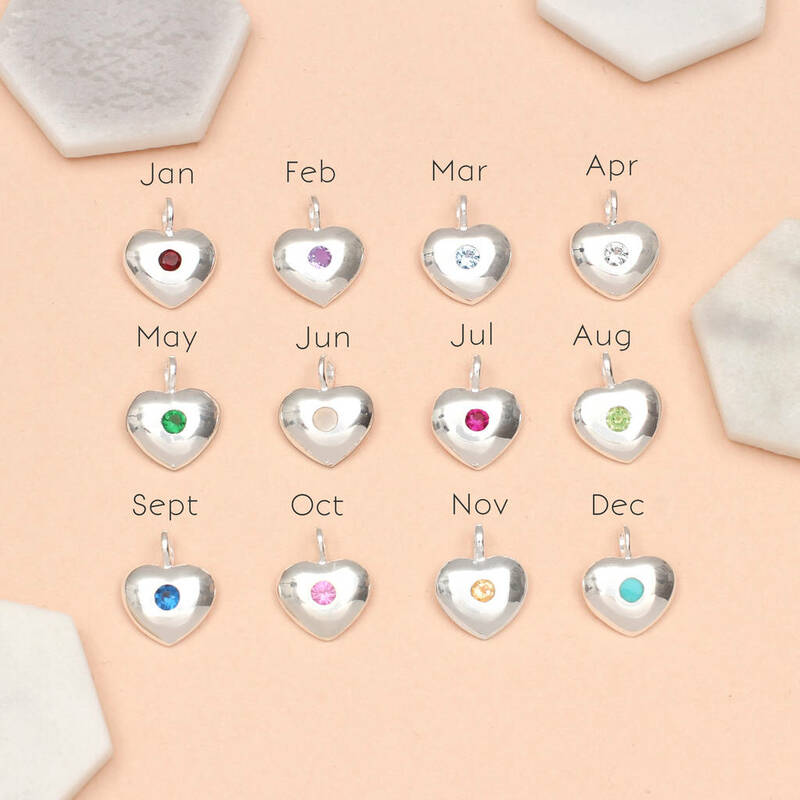 The round birthstone is centralised on a heart shape sterling silver charm which has an open back to let the light fall through the coloured stone. 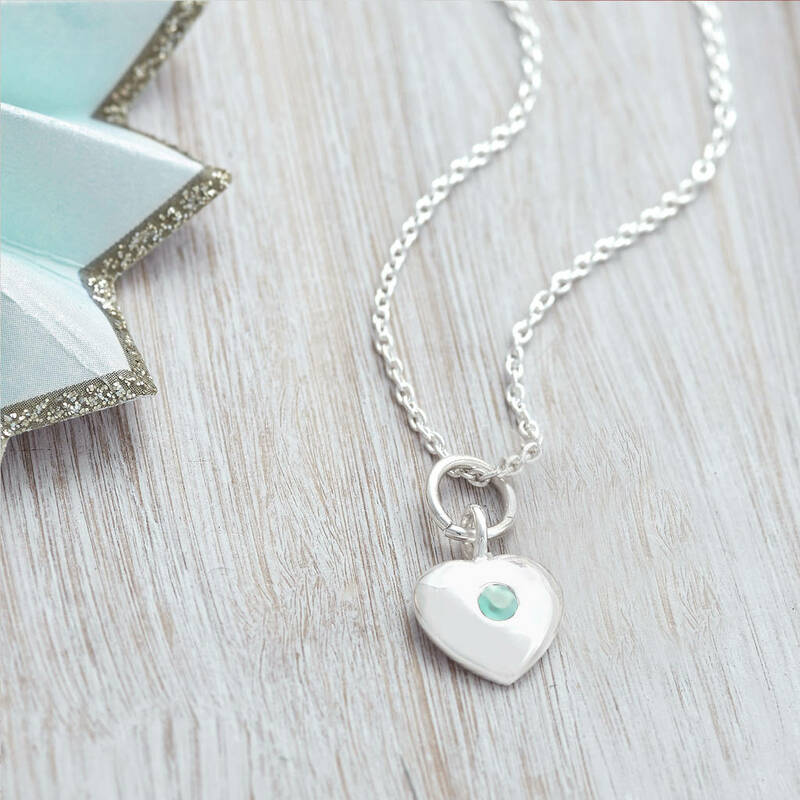 Made from hallmarked sterling silver this is a special necklace that will last and be treasured forever, simple enough to be worn everyday it will be loved by the lucky recipient. 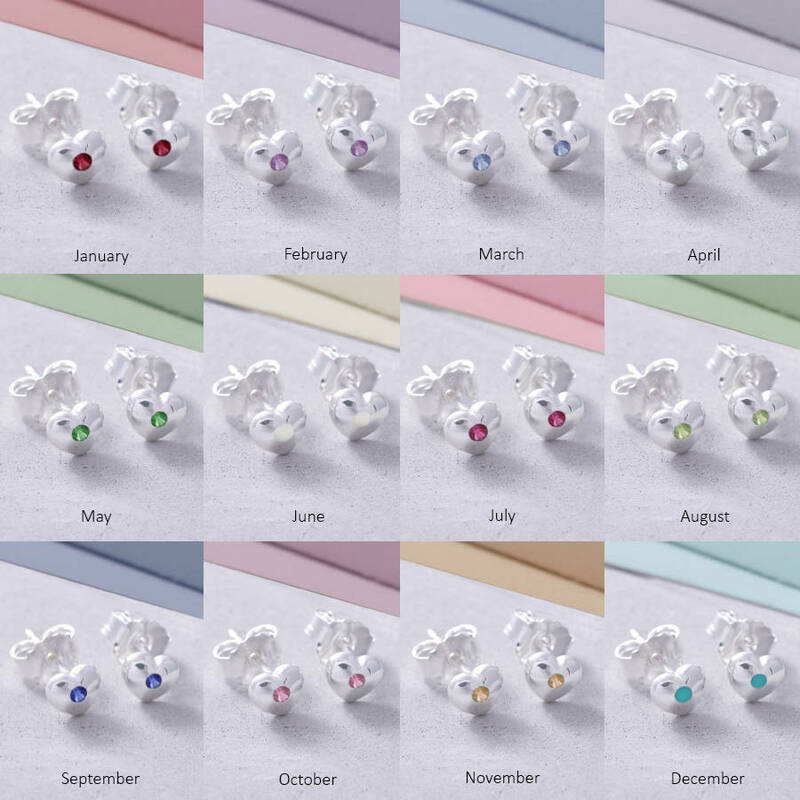 The birthstone charms are available to purchase seperately to add to the necklace at a later date. 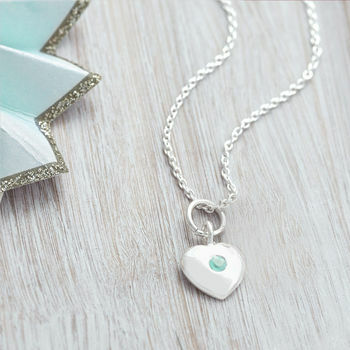 Chain and birthstone heart charm are made from hallmarked 925 sterling silver.